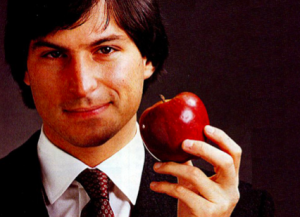 Steve Jobs was the consummate innovator. A CEO without peers. His vision was without a horizon. He didn’t have to think outside the box because for him there was no box. He didn’t create things people wanted or needed. He created things that let people be more of who they were and go places they never dreamed they could…or would. He innovated design with technology and technology with design. The day he said that Apple was reinventing the telephone he wasn’t bragging. It was an understatement. His greatness was in re-imagining the ways our communicative behavior could be intuitively simplified and improved. His enduring legacy is evident in the sleek, cool instruments we hold, click and tap every day. Somewhere up there he’s probably sitting on an iCloud and smiling. Thanks Steve. Thanks for your passion. Your singular vision. Thanks for never letting good get in the way of great. Thanks for making the unthinkable possible. Thanks for making dreams come true. For making the incredibly complex incredibly simple. Thanks for making excellence standard. Thanks for taking a big bite out of life. Thanks for Apple. Thanks for the Apple I, Lisa, the IIe, the Macintosh, the iMac, iPod, iPhone, iPad, iCloud. I’ll be thanking you every day of my iLife.